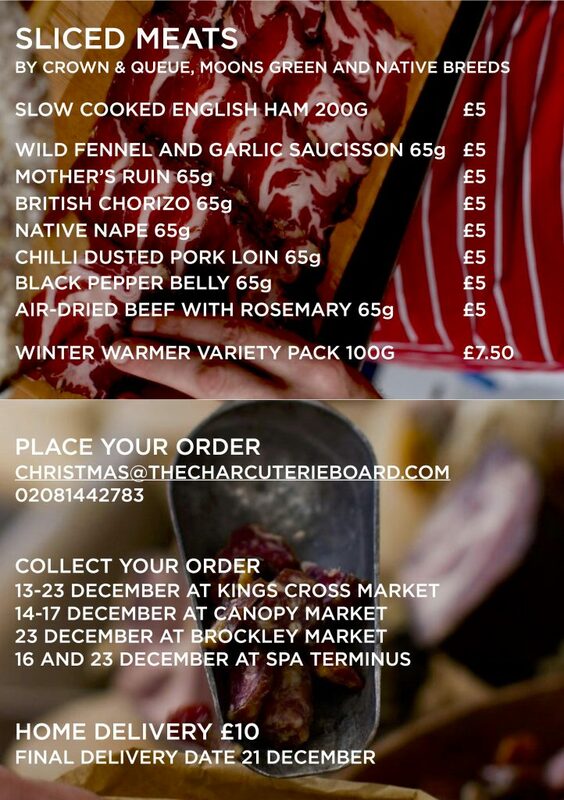 HOLIDAY ORDERS AND SEASON’S MEATINGS FROM TCB! Moons Green continues to bring some of the loveliest ham to the party. If you’ve got a lot of people to feed, then a whole ham is the way to go. If merely modest gluttony is your goal, then a half ham should suffice. Perfect Pork Pies to munch on the whole holiday weekend. The Hartlands make the best in the land. 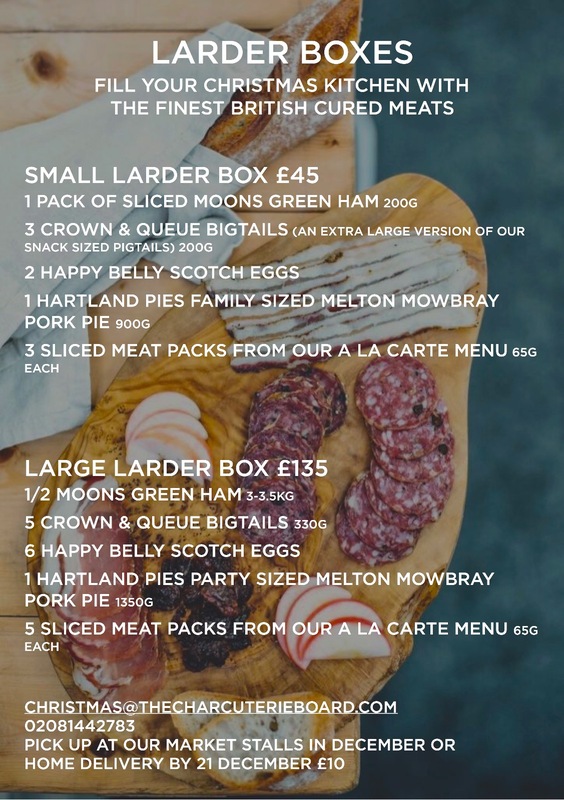 Offered in our two favourite recipes, authentic Melton Mowbray – it’s protected, you know – and our guilty Christmas pleasure, the Pork & Stilton pie. The two larger sizes make the nicest gifts for your party host too. 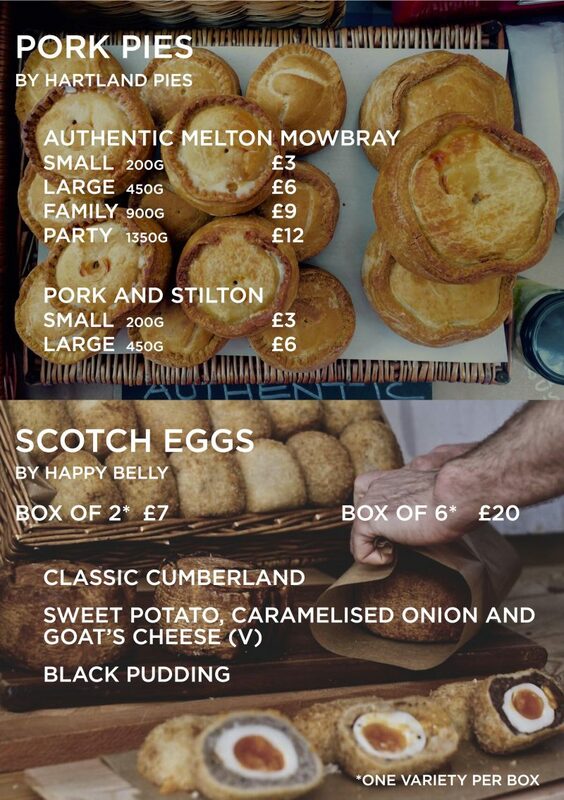 We’ve also decided that The Charcuterie Board should embrace the second Golden age of the Scotch Egg; so we knocked on all the doors between here and Bolton until we found Brendan at Happy Belly. Three varieties stand out (including the vegetarian option), and they make this year’s list too. Tapas for the afternoon table. Ham for your indulgent Eggs Benedict on Christmas morning. 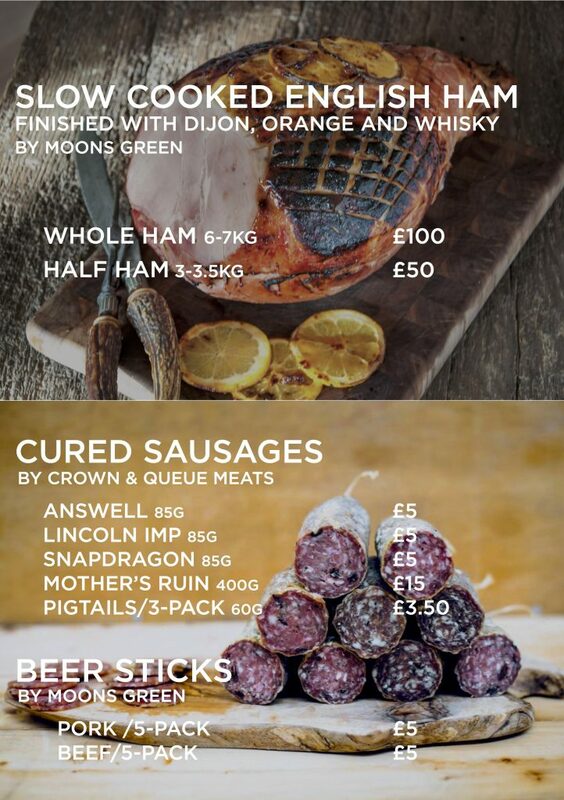 We’re slicing our most popular products to have at the ready in your fridge. 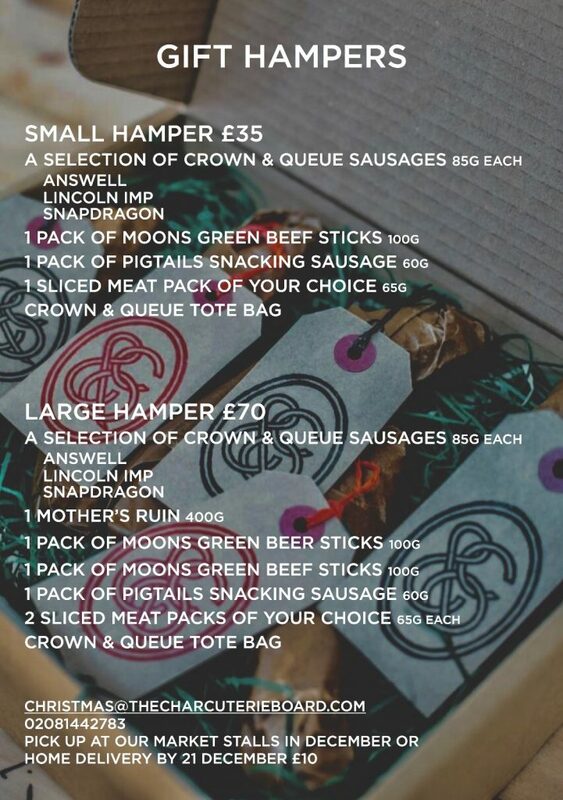 If you simply can’t choose, that’s OK, we’ve curated our own selections; Larder Boxes to fill your Christmas kitchen, and Gift Hampers to ingratiate yourself with friends and relatives. WE’RE HERE TO DISCUSS THE ULTIMATE HAM SANDWICH. It sounds so simple. Bread. Butter. Mustard. Ham. Even then, two of those components are arguably nothing more than distractions. But how wrong we can get it these days! After years of neglect, ham sandwiches are now a terror among pack lunch options, often thought best forgotten. 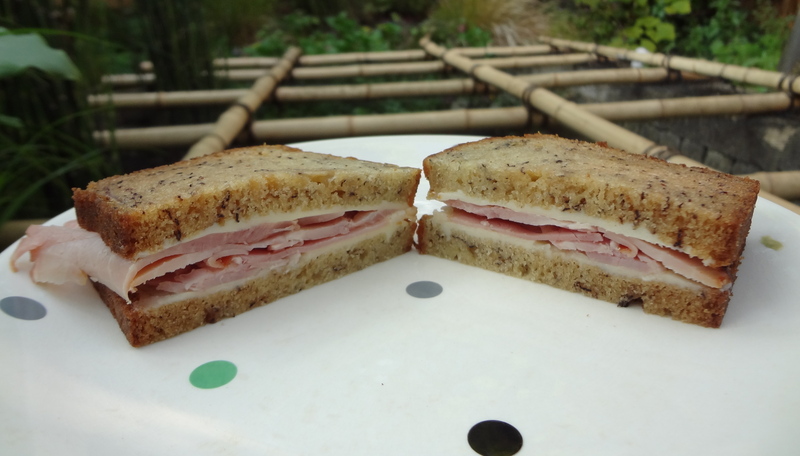 But the ham sandwich belongs to Britain, and it deserves to be reclaimed as one of the best iterations of traditional British charcuterie.